I live on the southern coast of Ireland and spend lots of time walking on the beach. 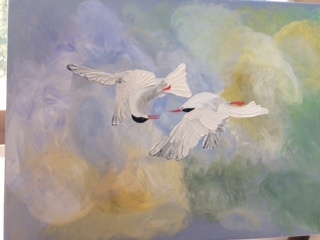 I love painting what I see , my current obsession is painting the arctic terns. I love trying to capture the way they appear so playful and almost tumble through the sky.